Sata Hard Drives vs. Solid State Drives: Which is best for you? 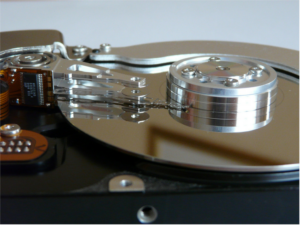 This article explains the main differences between Solid State Drives and SATA Hard Drives. It will also help you make a better decision when deciding which hard drive is a better fit for your business or personal needs. Solid State Drives have been around for many years now. There are several differences between traditional Sata Hard Drives and Solid State Drives that can influence your decision to chose one over the other. After reading this article you will be able to make an informed decision on which drive would work best for you. Solid State Drives are more like a USB memory stick or an SD memory card. This means that they do not have any mechanical moving parts and data is stored on NAND-Based flash memory and not rotating magnetic platters. This memory is a more permanent non-volatile type of memory that will not get wiped out if the computer loses power. The speed of SSD is determined by the SSD controller on the device and the SATA controller it is connected to on the computer. For example, If both are running at SATA 3.0 (6GB/s), then your speed will run at optimal performance, barring a few other factors. Smaller and lighter physical size. They typically only come in a 2.5” drive size. Less power consumption (about half of traditional drives), meaning less drain on laptop batteries, and very little heat generated, meaning less cooling required. 3 to 4x faster data read/write speeds than traditional drives, meaning faster loading times, and files read/write times. No vibration because there are no moving parts. This also means if you drop your laptop it is far less likely to cause data damage – unless there is extreme physical damage – such as severe stress on the physical structure. Not affected by magnetic data erasure. Hard drives have changed greatly over the years! Traditional hard drives have not changed much since their inception in 1957. Except for size increases and speed enhancements, they have stayed relatively unchanged for about 20 years. (I remember my first hard drive being 2GB in capacity). It’s really only about the last 15 years that their sizes have taken great leaps forward, along with the landmark switch from IDE to SATA controllers and cabling, where drives are now reaching 10TB (10000 GB) in capacity. SATA drives generally come in two standard physical sizes of 2.5” and 3.5”. (I say standard because there have been some 1.8” drives for very small laptops.) The 3.5” drives were historically used in Servers and Desktops, but with the smaller form factors of both, 2.5” is fast becoming the standard, especially since drive sizes have increased significantly for 2.5” drives and their rotation speeds (RPM’s) are much less of a draw back now. They once only maxed out at 5,400RPM but now can be as fast as 10,000RPM, whereas the 3.5” drives can range from 5,400RPM to 15,000RPM depending on where they were being used. Lower RPM’s generally means quieter drives and less heat generation. This is more important in laptop computers because they could over heat and freeze up completely with higher RPM drives in earlier years. Higher RPM’s mean faster physical read and write speeds. Data transfer speeds are still in part determined by the controller speed on both the drive and the computer. Far larger capacities available for data storage than SSD. About 10x less expensive per GB than SSD. Generally cost can vary by quality and manufacturer. 0 Today you will likely pay about the same for a 4TB hard drive as you would a 400GB SSD drive. Tower sized computers are made for 3.5” drives, and 3.5” drives are still less expensive than even traditional 2.5” drive of the same capacity and RPM speed. You won’t need 3.5” to 2.5” adapters to custom fit them into this sized computer. This matters more for gamers than it does for typical business class computer users. Why should any of this matter to you and why would you want one over the other, or both? Depending on the kind of work you plan on doing on your computer, this may be of more importance to you. For example if you are in the design business and use large rendering files, you would likely want the SSD drive for the speed, but need the traditional drive for its storage capacity. You need the best of both worlds, so the answer is, if you are using a desktop that allows for more than 1 drive, get them both! Have your OS and applications installed on the Primary SSD while using the 2nd traditional drive as your storage drive. In the same respect you can also do this with laptops, but use an external USB 3.0 hard drive instead of an internal traditional drive. There are many other factors to consider when it comes to speeding up your computer and simply changing to an SSD drive may not provide the desired performance increases you might expect. These are some of the main factors to consider when purchasing a new hard drive. For more information on storage solutions click here. Paul Comtois was a Client Support Specialist at Triella, a technology consulting company specializing in providing technology audits, planning advice, project management and other CIO-related services to small and medium sized firms. Paul can be reached at 647.426.1004. For additional articles, go to www.triella.com/publications. Triella is a VMware Professional Partner, Microsoft Certified Partner, Citrix Solution Advisor – Silver, Dell Preferred Partner, Authorized Worldox Reseller and a Kaspersky Reseller. PreviousPrevious post:Google will Flag your Website if you do not have an SSL Certificate!NextNext post:Web Monitoring can Boost Firm Productivity and Security!